LB8221 Bailey - Lilac Bloom Women's Vest [LB8221 Bailey] - $50.05 : Sogowear Outfitters!, Polo Shirts, Golf Shirts, Jackets, Fashion Fleece, Woven Shirts and More! 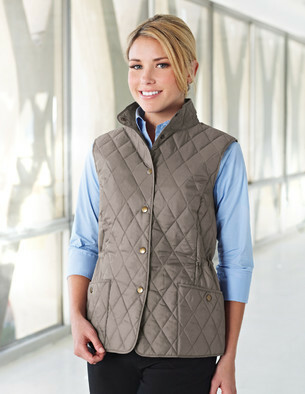 Women’s windproof/water resistant 95% polyester/5% nylon lightweight quilted vest lined with polyester. Features a draw-cord waist and princess seams for a tailored fit. Snap front and two snap pockets. 2.8 oz. polyfill.